This was no MRAP. 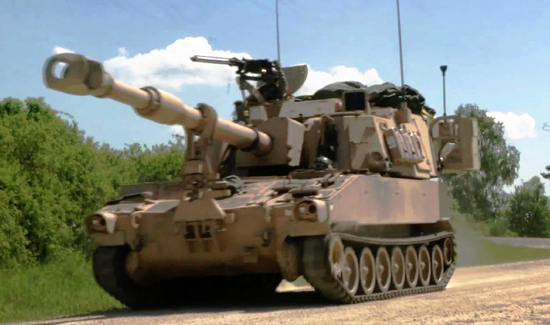 These are six M 109 howitzers! They’re super scary tanks! The US military was apparently trying to ship the things to a base in Germany but the guys driving the trailers got stopped by the German police. They quickly determined that the load lacked proper documentation and had been loaded on unsuitable trailers. Also the drivers had been operating for an amount of time that was deemed unsafe. This is a good lesson for anyone except a multinational corporation- never go with the lowest bid for the job unless you want to do it twice. German authorities said it’s up to the private transport company that the Pentagon was using to resolve the problem.